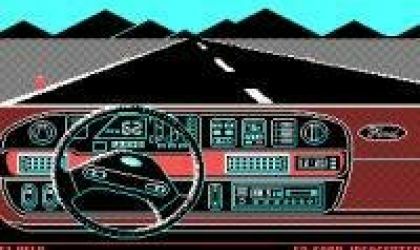 Ford Simulator was created as advertisement for Ford. It was to show off their 1987 model line. 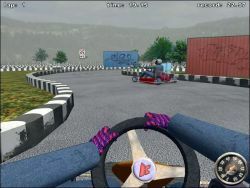 Ford Simulator lets you choose from a wide range of cars to test drive and 4 different type of tracks to drive on. Just remember that this game was made years and years ago so the graphics and sounds are shocking. I still find playing older games like this amusing. Just remembering when I was a young kid. I can't believe this is floating around the net. VERY SLOW. Its SUPER old, 1) Because it runs from MS-DOS 2) The sound plays from your hard disk drive. Graphics very bad...lots of "dots" and "pixels". Its a very small file. I like Fords, I like games... this game was great for its time and still very much is a good game. I like it alot simply because I like my Fords. Go Fords. It was a bad game. I would never ever play this game again. The graphics are bad and the gameplay was bad. The worst game ever! 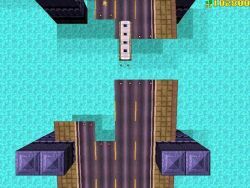 Car games should learn from this, though... not all of it. Good for Ford fans. Gameplay isn't very fun.